Remember my hubby recently challenged me to create a clean and healthy version of his childhood favorite soup - Bean & Bacon? Well, it took a few tries, but Challenge Accepted and SMASHED! If you haven't tried it yet, seriously - it's BOMBtastic!! 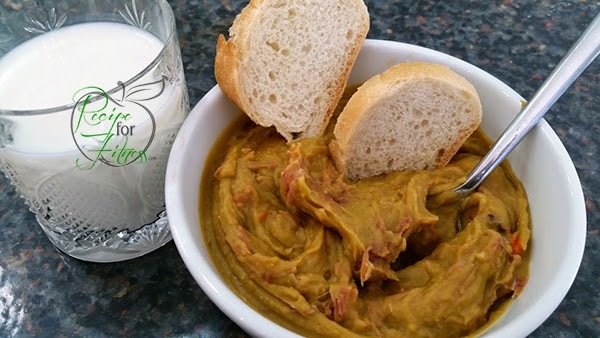 Not content to let me rest on my laurels, he promptly threw down another gauntlet... Split Pea and Ham Soup. Oh no, he did not. Campbell's Split Pea soup has per 1 cup: 360 calories, 22g protein, 58g carbs, 4g fat, 10g fiber, 8g sugar, and 1700 mg sodium. It also has a scary ingredient list with a ton of nasty additives! 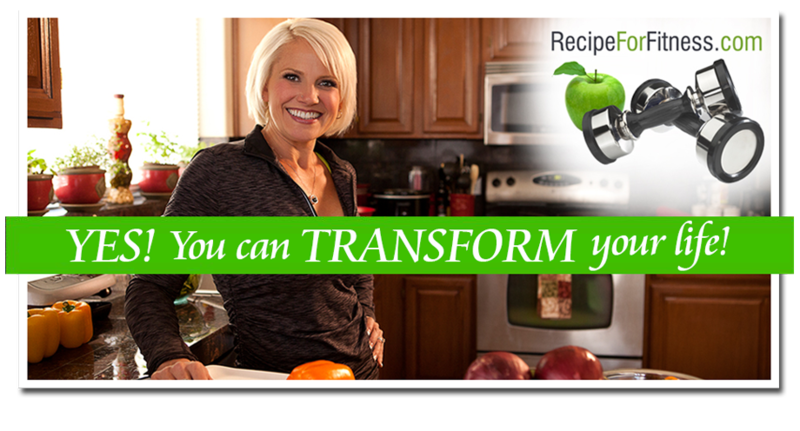 My recipe has per 1 cup: 202 calories, 21g protein, 23g carbs, 2g fat, 4g fiber, 2g sugar, and 92 mg sodium. The ingredient list is clean and wholesome. And yes, you read that right... 92 mg sodium. Rinse peas in water, removing any funky ones. These don't need to soak, just rinse. Place ham hocks in slow-cooker (I like to use a crockpot liner to save on cleanup). Place peas in slowcooker, add 8 cups broth, diced onion, diced carrots, diced celery, and stir gently. Place sprigs of thyme and bay leaves on top. Cover and cook on low about 7 hours, or until the meat is falling off the ham hock. Using an immersion blender, carefully blend crockpot contents until it reaches desired smoothness (usually just a minute). Soup is HOT, so please be careful you don't spatter yourself (or your kitchen, not that that's happened to me or anything). Add meat back to slowcooker. Stir. *Note: Bone broth is a fabulous new product Pacific Foods has introduced - though it can be hard to find, it's worth the effort! Much higher in protein (and "cleaner") than regular broth, it's an absolute wonder! If you cannot find it, feel free to substitute lower sodium chicken broth (like Imagine or Pacific brands) or if you're willing to put in the time - make your own! Here's a recipe I recently found that I'll be trying this week. When you refrigerate this soup, it will solidify (would you like a slice of soup? lol!) - don't worry, it will liquify as it reheats. If you still feel it needs to be thinned further, you can add a bit of water, broth, or even milk. Nutrition facts per serving: 202 calories | 21 grams protein | 23 grams carbs (net 19g carbs) | 2 grams fat | 4 grams fiber | 92 mg.
You might also be interested in our other Main Dish recipes.